September is historically the month San Francisco sees the greatest number of new listings come on the market, and this year it hasn’t disappointed! Since the 1st of the month, more than 800 single-family homes and condos have hit the market, blowing last year’s count out of the water. Further sweetening the situation for prospective home buyers, there are more condos for sale now than any time in the past two years and the most sub-million dollar single-family homes we’ve seen all year. 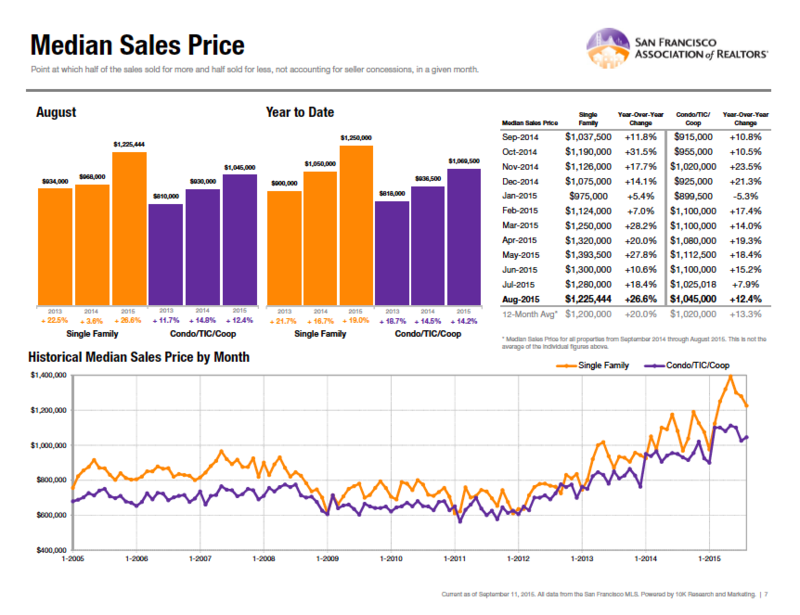 While median prices for both property types have remained consistently above $1,000,000 for the past seven months, the month-over-month rate of appreciation has cooled recently leading some economists to believe the market is leveling off. Still, there are plenty of buyers out there and the key to home values will continue to be the pace of job growth. On that note, employment is at a record high in San Francisco, and the East Bay (where many people priced out of SF are already putting increasing pressure on the housing market) is in for some major job growth in the coming months, years and decades. Uber’s recent purchase of the former Sears building in downtown Oakland could prove a huge boon for the city. Aside from the estimated 600 new residents it will bring to the East Bay, it could open the floodgates for startups to establish headquarters in the area. Additionally, Berkeley has a billion-dollar real estate pipeline — one of the largest building booms in its 147-year history — that’ll bring jobs and residents to the area over the next 40 years. 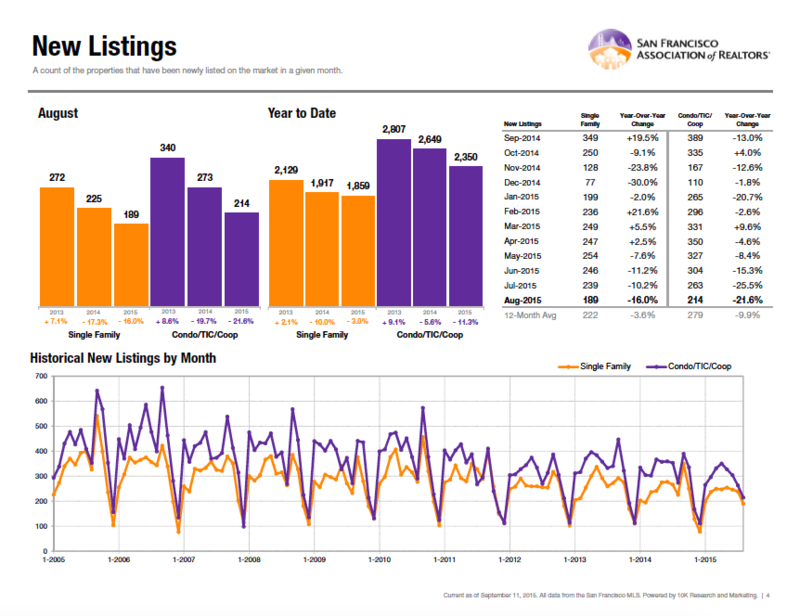 If conventional wisdom is correct, the real estate market in the East Bay will be heating up — way up! A recent study by rental website Zumper found that for every $1 billion in venture capital injected into a local economy, 1-bedroom rents will increase $69 per month, and 2-bedroom rents will increase $99 per month. In San Francisco, $1,069 or 33% of a median 1-bedroom rent can be attributed to this stimulation. As housing prices accelerate around the Bay Area, it should become increasing clear that the housing crunch is a regional issue rather than a strictly San Francisco one, and the solution to it will be best achieved in a coordinated effort.